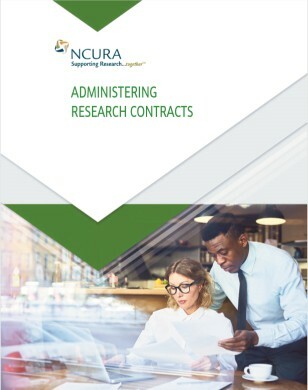 This publication delves into many of the issues associated with the administration of research contracts. It looks at how contracts differ from grants, from both federal and legal perspectives. It covers the structure of the Federal Acquisition Regulation (FAR), and how it can be used to a research administrator’s advantage when negotiating federal contracts. It looks at some of the special challenges that can arise in negotiating contracts with government agencies and with the private sector, including subcontracts of federal funds via the private sector. David Mayo is Director of Sponsored Research at the California Institute of Technology, where he has worked since 2002. In this capacity David is responsible for the overall operations of the Office of Sponsored Research, including submission of proposals for sponsored programs, negotiation and administration of complex sponsored awards, review and interpretation of existing and emerging federal and state policies and regulations, development and implementation of campus policies and procedures, and training programs for campus staff in sponsored programs administration. David is a well-respected expert in contracting and the FAR. He has received multiple honors including NCURA’s Award for Outstanding Achievement in Research Administration in 2012, Distinguished Service Award in 2010 and he was recognized as an NCURA Distinguished Educator in 2016.